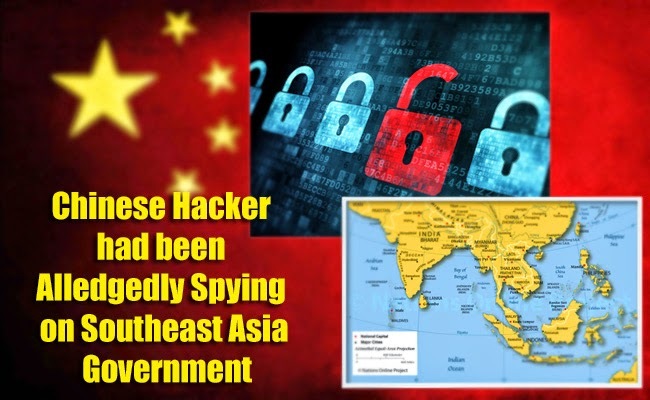 The internet security company, FireEye Inc, revealed that hackers including from China had been looking into businesses and even governments in India and other countries in Southeast Asia. The hackers’s activities had been silently going on for a decade. FireEye Inc reported that the cyber spying had been going on since as late as 2005 and the targets are those who are holding key information about military, political and economy. FireEye Inc strongly suggests that the espionage had been backed by most likely the Chinese government due to the activities’ planned development effort, sustainability and regional targets. FireEye Inc’s Chief Technology Officer for Asia Pacific, Bryce Boland, said that the spying still hasn't stop as the servers of the hackers are still operational as some of their customers are few of the targets. However, Reuters can not confirm the report. The Chinese government had always denies the accusations of spying on companies, organizations and governments. China has always denied accusations that it uses the Internet to spy on governments, organisations and companies. Hong Lei of the Foreign Ministry stressed that their government strongly bans and even cracks down any hacking acts detected. The hacking problems are an international problem must be dealt with in cooperation with each other. This is not the first time China had been accused of hacking activities targeting Southeast Asia. McAfee reported that a campaign called Shady Rat had attacked Asian governments in 2011. ASEAN members had been putting efforts on cyber defenses, however there is still more to be done. Boland also shared that the campaign FireEye recently reported is different from the previous reported operations when it comes to longevity and scale. It seemed that they include at least two software developers but they do not offer the possible size and base of the group. Furthermore, it had been revealed that the main targets are the ASEAN members and the corporations as well as journalists interested in China. Among other targets are construction, aviation, energy and transport companies. The hackers access their target usually through phishing emails that disguises to come from trusted sources.